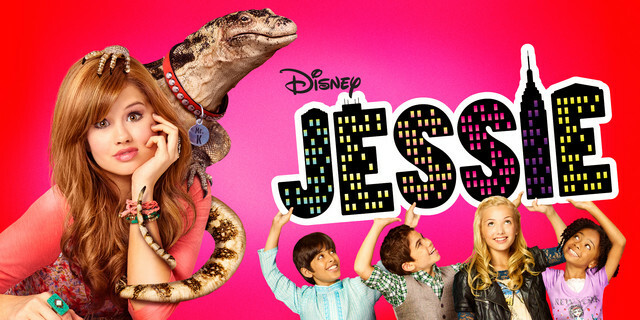 Jessie season 3 is filming now and fans have a chance to get into the show in 2014… or so to speak! 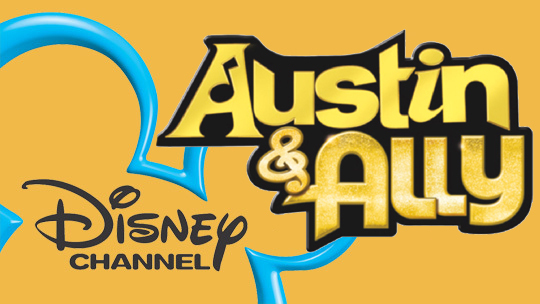 Huge fans of the Disney Channels hit shows “Jessie” and “Austin & Ally”, have a chance to see their favorite Disney stars live and in person. The 2 shows are casting for audience members for the live taping of the 2 shows coming up in late 2013 and early 2014!. Both of these shows are filming now and will continue filming into January 2014. This is actually not so much a casting call as it is an opportunity for fans to sign up to see the shows they love, live and as part of the in-studio audience. All of these new episodes will appear on TV in 2014. You can be a part of your fave shows, from the studio! 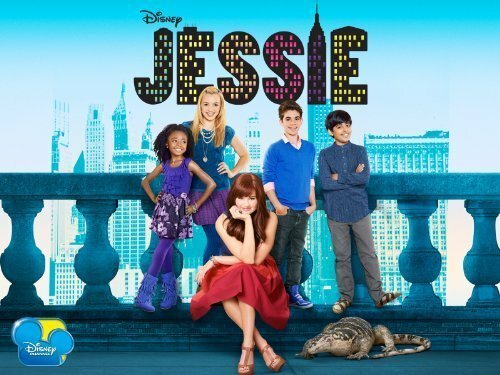 The Jessie film dates for now are: 11/15/13, 12/6/13, 12/13/13, 12/20/13, 1/17/14, 1/24/14, 1/31/14. The hit Disney show is filming now through early 2014. Austin & Ally will be filming on the following dates: 11/15/13, 11/21/13, 12/6/13, 12/13/13, 12/20/13, 1/17/14, 1/24/14. The 2 shows film in the Los Angeles area and even though tickets are free. You will need to find your own parking and most likely pay for parking when going to the studio. You can order the tickets here. All Disney Channel show tickets are available on a first come first serve basis and they do go quickly. You can usually book a spot in the audience up to 30 days before the show. There is a minimum age to attend which is 10. Austin, an outgoing musician and Ally, a smart but shy songwriter, and their two best friends Trish and Dez combine talents to create an unstoppable team: a singer, songwriter, manager and director. As their musical journey begins, they work together to make it through every adventure! The cast includes Ross Lynch, Laura Marano, Raini Rodriguez and Calum Worthy. Jessie, played by Debby Ryan, embarks on the adventure of a lifetime when she decides to leave behind starry nights for big city lights. Thrilled to be on her own and determined not to be intimidated by New York City, she accepts a job as a nanny and moves in with high-flying couple Morgan and Pandora and their four rambunctious children. So if you are planning a trip to the Los Angeles area in the coming months and in early 2014, you may want to stop by a filming and see your favorite stars in person. I’m 12 Years old and I have brown hair and brown eyes. I love acting, make my dream come true. My son, he’s just 4 years old but sure acts like a teenager. He loves all Disney shows especially Austin &Ally and Jesse. He could watch the same show and he remembers and repents everyone’s scripts once again, he’s just 4 years old. I am 10 years old and good at singing and acting. I would really like to be on a disney channel show and I would be so happy if you chose me. I have long brown hair, brown eyes and a cool personality. My name is Paul Irving Jr. I have wanted to be on Jessie for a long time. I love the comedy. I love the set and I love the actors on the show. I have wanted to have a moment to show the real me. I have experience with acting and singing, so please, make my dreams come true. Hi my name is Nevaeh Lynch. I have always wanted to be an actress. I am shy but I think I can work on that. I am outgoing, crazy and enthusiastic. I would love it if you chose me to work on Jessie or Austin and ally. If you have any questions just email me. About me: brown hair brown eyes I am 11. I’m also good at singing. Hi, my name is Jeniah Allen. I am 11 years old about to turn 12, August 28. I am a girl. I really love Disney shows and stuff. I really wanna do the stuff that the people on television do. I wanna do something with my life. Life is short and I wanna be able to do all that stuff. My name is Serena Fox and I am 12 years old, soon to be 13 in september. I absolutely love acting and have much experience as well. I would love to try out to be on this or any other show. A little about myself: I have brown curly hair and piercing blue eyes. I am confident in myself. Please consider choosing me to work with you. Thank you so much for your time! I’ll be in LA on June 17th & 18th and I’m looking to find tickets for any Disney show taping for myself, wife, and 6 & 8 year old as they love the Disney channel. Can you advise where I can go for this? I love Jessie, also, Austin and Ally. I would love to be on your show. I am coming to LA from new york with my wife and 3 daughters aged, 15, 13, and 10. We would love to join the studio audience of one of the shows. We will be in LA on June 25, 26,27 and 28. Would you be able to help me? You need to follow the instructions on the page to apply for show tickets. I love to watch Jessie. I really admire you guys and I would love to audition for you tell me when and where. I would love to be on these shows… I’m 14 years old and as a matter of fact, I’m actually watching Jessie right now ha ha… I live to act. I record myself and I practice monologues. My friends and my family support me. If you pick me you will not regret anything…I will give you 110% of my heart and soul in my performances. I really want to be on the show because I am a really good actor. I’ve been in thirteen plays. I’m 14. Hi my daughter’s name is Cyra, she is 7 years old. She loves Jessie, when we are not home she has me tivo all of the Jesse shows. I would love for her to be an audience member. my name is Rania , I am 13 years old and I love to act. My email address is German because I lived there, but now I am in Philadelphia. My hair is curly and brown, my eyes are brown too. In Germany I was in drama class. Now I am in 8th grade. I have a really funny personality, so Jessie would be a really great show for me. Please email me, I am sure that I would be great for you. I am a little bit skinny, but I know I will soon grow enough. I know I am gonna be awesome. I am sure of that. Hi I am 12 and I love these shows. It would be a dream come true to be on one even as an extra. I really need a line or something on a show to help me get my career started, thanks. Hey There My Name is Britney and I am 12 years old and about to turn 13! I am Hispanic and my mom says I am part Spanish. I Live in MI, I can speak 2 languages Spanish and English and speak them with fluency. My dream is always to become a actor and a singer. Let me tell you how I look, well I have medium Curly dark brown hair, and I am very skinny. I am flexible! My Hobbies are that I love traveling and I love spending time with family and friends also I am very funny. I love making people laugh and see the smile on their face. I love singing, I will do vocal lessons. I can sing and also Whistle and I can add a little bit of dance to my singing. I went to acting class for a while and they told me that “you are an angel on stage” so they signed my name up to travel around Texas to show them my acting skills. I was bummed because I didn’t go I had to go with my dad, but I love acting and singing its my passion here’s a tip about me, I look like Madison Pettis and Sound like Ariana Grande when she talks and sings too. I Think I have more talent and I know how hard it is to be on a TV show so I would show you how much power I have and My talent of acting! I always would act like I was on TV. I knew the songs and memorized the dance and the songs correctly, but I Think Acting and Singing are my talent. I would LOVE to be on Disney, To Show what I am made of, even to my Dad! Hi there my name is Brittany and I am 22 almost 23, Don’t stop reading now though. I know you are thinking well she’s too old but though I am 22 I look 18-19. If you have watched Now you see me, jack wilder on the show is really 28 but looks like he is 23 in the movie. I look younger than I really am 🙂 which is good. I would love to be in a t.v show with Austin and ally, as well as meet them. I am in a way like Austin, sweet and cute and someone that loves to help others out, and sing. They would be fun and amazing people to want to work with. I have blue eyes and brown curly hair. Please shoot me an email if you are interested in me to be in an Austin and ally show. Hey my name is Keysi Munoz, turning 15 in February 2014 and I am from San Diego Ca. My biggest dream is too be an actress and also to be in a disney channel show. I hope I get picked to be in Austin and Ally or Jesse. I can assure you, you won’t regret picking me. Hi, my name is Austin and I’m 14yrs old. My dream has always been to act. I’ve been trying and trying to get some parts for Austin and Ally. I really hope you guys could get me into Austin and Ally. The reason I’m asking, is because Ross Lynch and Laura Marano are my inspirations. So please, help me to make my dream come true! Thank You! hi my name is Alyssa. I am 10 years old. I can be an actor and a singer. I would like to be on Jessie in 2014 in June 9th for my 11th birthday. Hi my name is Sirya. I sing and act it’s my Dream to act in one of these two show. I hope to get in Jessie. Hi, im sally and I already post 2 comments but I don’t see it so okay. Hi my name is Sally and I’m Vietnamese and I live in Nb, Moncton Canada. Acting is my dream but my English isn’t good enough but I will try. It’s my dream to be on Austin and Ally but I can’t sing. And I need tips to remember lines. Marisol is 5 and loves Jessie. She would make an awesome crew member, and audience. She is energetic and fun. hola mi nombre es yefry, vivo en Colombia, medellín. me gusta bailar , y quisiera ser un actor de disney channel y participar en el elenco de jessie o de austin y ally. yo domino en español bien y hablo un poco de ingles. por favor denmen la oportunidad. me gusta : jugar fútbol, basquetbol, dibujar, y practico artes marciales en casa. personalidad : soy una persona juguetón, amistoso, respetuoso, aveces alegra como hay veces que estoy triste, aburrido, hací sucesivamente. como soy: soy un poquito flaco, y soy alto para mi edad. información de mi sector : yo vivo en medellín, san javier, vivo en la dirección calle 40, numero 101-83. Mi teléfono es 2530687 y mi correo electrónico. por favor aceptenme en ese programa tan bueno yo me paso todo el tiempo viendo esos 2 programas por favor aceptenme en uno de ellos 2, yo actuó bien por favor. llamenme por favor. y otra cosa si quieren que este en su canal de disney chanel denmen la visa y todo lo necesaria para estar en estados unido, es decir el pasaporte, visa, hotel, haci sucesivamente. Hi, am Diana, am 13 almost turning 14 years old. I live in Kenya, my passion and dream is to take an enchanted visit to your wonderful world. Am an amazing singer and actress, I’ve written songs and still do.I believe am worthy to take the stage so please whenever you need a new actress call on me.I can also play instruments perfectly, make my dream come true, you can contact me and I appreciate and love what your doing. I love acting it’s been my dream ever since I was 8. I would love to be on the show and live my dream. I’m 16 years old, live in Florida and also love music. I’m 11 almost 12. I’m 5″3″, I love to sing and dance and I can act. I know I can do this. I would puts my heart and sole in to this call me. Hi my name is Tykia Patillo and I always wanted to be that person to be like that’s me on tv, it’s me so thank you and call me if I can get a addition ;)! Hi, My name is Isabella Avila, I am a 7th grader at Coke R. Stevenson Middle School, I went to John Casablancas MTM in Oklahoma and graduated with Acting and Modeling. I love Disney and watch it all the time my favorite Disney show is Liv And Maddie and I love acting and want to live my dream. Hi, My name is Isabella Avila, I am a 7th grader at Coke R. Stevenson Middle School, I went to John Casablancas MTM in Oklahoma and graduated with Acting and Modeling. I love Disney and watch it all the time my favorite Disney show is Liv And Maddie and I have dreamed of being an actress since I remember and would like a chance to live my dream. Hey my name is Jarvasia and I would really love a chance to express my talent. I have a a lot and I would love it if Disney channel was the first to let me show it. Hey I’m 15 and I would love to get a chance on Disney channel because I have talent but I don’t know how to express it. I can dance to basically any beat you give me. I can sing so can you please email me if y’all think I’m good enough, Thanks Have A Good Day. I am 10 years almost 11 and I wanted to be an actor for like a life time and have been looking for open auditions. I think I’ll be good for a part but on Jessie mainly because I’m multi-talented and I’ve had experience but I’ve also always wanted to see it live and meet the casts ever since I watched the first episode so PLEASE choose me. Please contact me please. Thanks! Hello,my name is Andriea Jones and I love Disney Channel. It has many funny characters that I love very much. If I get on one show on Disney, I would be the happiest girl in the world. I am 12 years old. I am 5’5, I’m 101 pounds and am very funny. I was in the lead of a school play, it was called Annie. I was Annie and I used to be in a choir at my old church. Hi I’m 12 years old. I love to act and my dream is to be in kickin it. I would die for a spot on either of these shows! I sing and write music on the piano. I go to a piano teacher for gifted children. hi I’m Jessica, 16 yrs old, from Mauritius. I write many songs and also sing it. I know how to act. My name is Dorcas and I am 12 years old. I live in London England so it would be harder for me to get an audition in America. Since the day I saw Austin and ally and Jessie, I knew straight away that I wanted to be on Disney channel. Please pick me if you want Disney channel to be a successful hit. Hello, I’m Manuel Ruiz. I’m 20 years old in college. I’m 5’11. I live in Redondo Beach, CA.I really want to start my acting career. I want to be known for my talents! If you guys could please contact me, that would be GREAT! My dreams are to become a huge successful actor & I’m not giving up until I do. I put hard work in everything that I do & if I mess up I keep pushing myself to become the best. Hey my name is fatima and I love the show. I know that if you allow me to be on the show you would fall in live with me and I would be a great actor. It will be awesome if I could be on Jessie and/or Austin and Ally. It will be a dream come true. Katelyn is 8 years old. It has been her life long dream to be on The Jessie Show or Austin and Ally. Please forward me information as She would make an Awesome Addition to the Crew Members.